In honor of thanksgiving this week, here is a delicious dish to serve as a main or side dish. such a good savory combo. Meanwhile, in a large skillet, cook the sausage, mushrooms, onion, and garlic over medium heat until meat is no longer pink; drain. 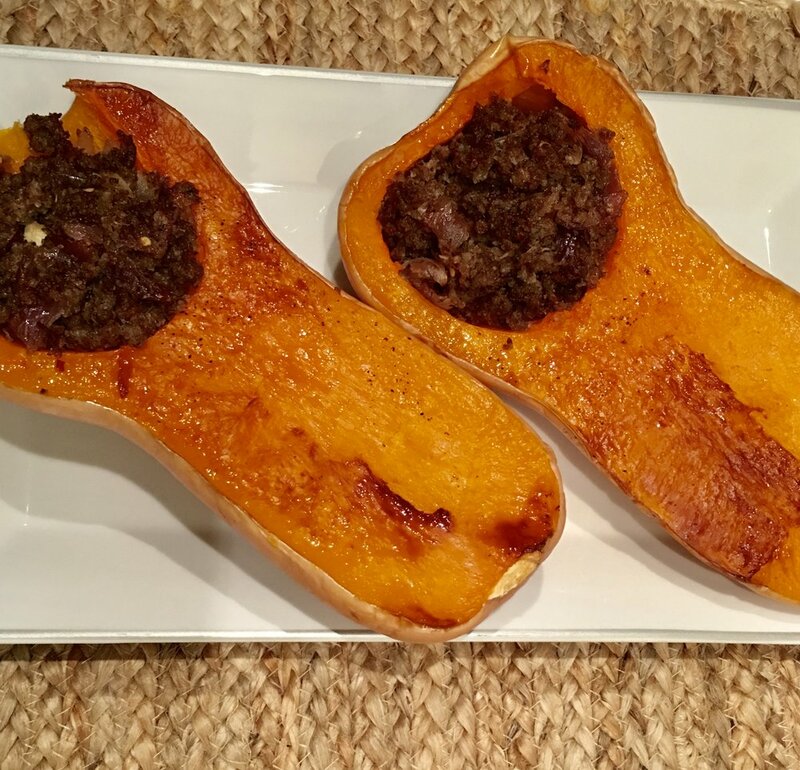 Turn squash over; stuff with sausage mixture and serve. We eat it right out of the shell no need to cut it up!